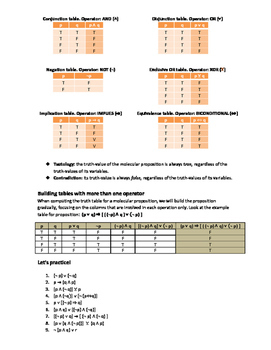 Two-page truth table explanation of the most relevant concepts (propositions, variables, values, logical operators) with examples, as well as tables for each operation and an example of how a bigger table is computed. 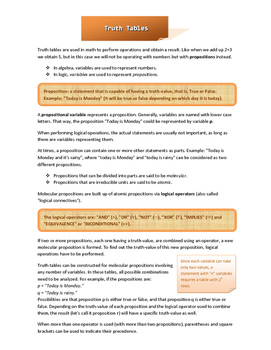 A few proposed exercises are included at the end, for the students to apply what they learned. This is intended as a guide that might need some more insight from the teacher.